We hope everyone enjoyed last week’s long-awaited greens. How fresh and delicious were they! More to come in the next few weeks! IMPORTANT – The June 7th pick-up will be at the Quaker Meetinghouse,137-16 Northern Blvd. across from Flushing Town Hall (where we had the Meet the Farmer event in March). Town Hall has their annual gala and cannot host us that evening. The rest of the pick-ups will be at Town Hall. Please note that parking is limited. We ask all our members to please read your weekly newsletter because it contains important information. Thank you to last week’s volunteers – Jillian, Grace, Nora and new member, Steven. You all rock! Dairy/Egg/Meat Shares – for those of you who ordered dairy/egg/meat shares from Goodale Farm, – they will begin tomorrow, June 7th. It will be a double-share as Goodale did not deliver last week. So you may want to bring an extra bag and also ice packs. For those folks who ordered fruit shares it is 14 weeks of (tree) fruit and usually starts in July. GEF will let us know and we will let you know. A number of members did not get a Signup email to choose their date/time volunteer commitments. See below on how to signup. Any questions, email us or see Larry, core member/volunteer coordinator at the pickups. See the below link for updated 2018 Volunteer Directions. Again, any questions, just see Larry or the week’s volunteer site coordinator. Lewis Waite online ordering is back! You all should have received an email from the online farm vendor Lewis Waite. 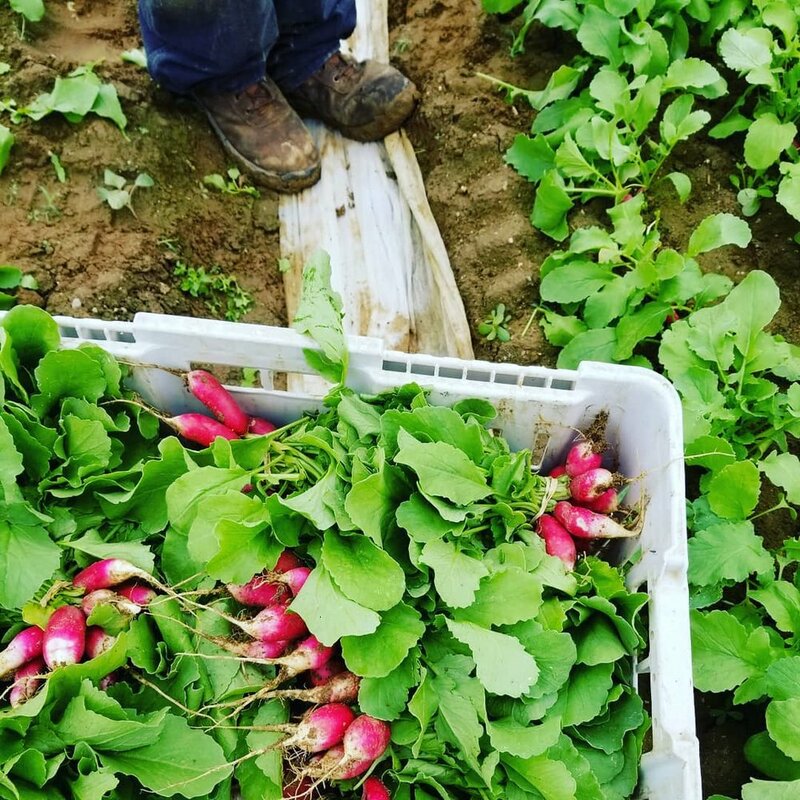 They partner with many other regional farms and organic food vendors and best of all – they deliver bi-weekly to our pick-up site! So even if you did not participate in Goodale Farms (weekly) dairy, egg and (monthly) meat shares, you can order ala carte from Lewis Waite and have them bi-weekly or whenever you want If you would like to order anything from them, please visit their ordering site. Lewis Waite dairy, meat and other product delivery will start June 14th and continue every two weeks. You order and pay them directly online via Paypal or send them a check. We do not handle payments to Lewis Waite. Please note that we will include a Strawberry “Pass” inside all of the shares, just like we did last season. For share partners, they are both welcome to come to the farm, but due to limited berries, just one free quart per paid share. If you have any additional questions regarding the U-Pick, please let me know. 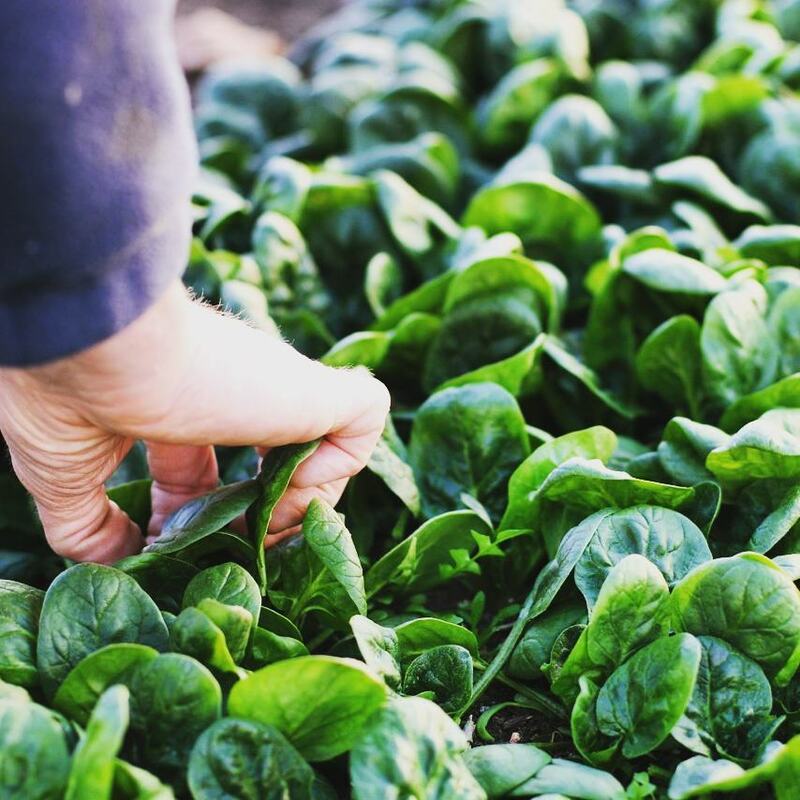 Spinach – Baby spinach grown to perfection. This is super tender, so it’s wonderful for salads. If you do choose to cook it, it will wilt down in a few seconds. Don’t overcook it! Storage: In an airtight (plastic) bag in the refrigerator. Uses: Raw in salad. When to use: Within 3 days. Japanese Salad Turnips – The salad turnips are a two-for-one veg, meaning that both the roots AND the green leaves are edible and delicious. Cook the turnip greens just like spinach. Storage: In an airtight (plastic) bag in the refrigerator. Separate the turnips from the greens when you store them. Uses: Cooked or raw in a salad. When to use: Within a week. Boston (Butter) Lettuce – This variety is around for another week or so and then not again until the fall. It only grows well during the cooler weeks of the season. Bunched Red Kale – A bonus week of this red variety and then we move on to new types through the season. Collards – The new “it” green, collards have great flavor and hold their texture well when cooked. They are loved in Southern cuisine and can be substituted in most kale recipes. Shakshuka with Kale & Collard Greens – A one-dish meal! Kale Slaw – Easy to adapt to any type of kale, even add bok choi! Previous Flushing CSA (Week 1) Update! Next U-Pick 🍓 and Farm Tour this Saturday!